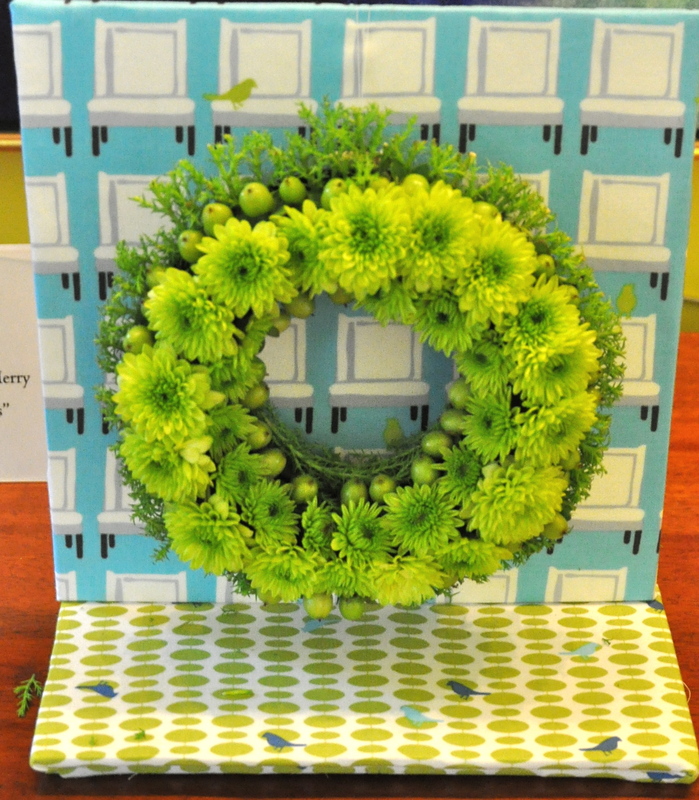 Garden Club Flower Show Results: Surprising! 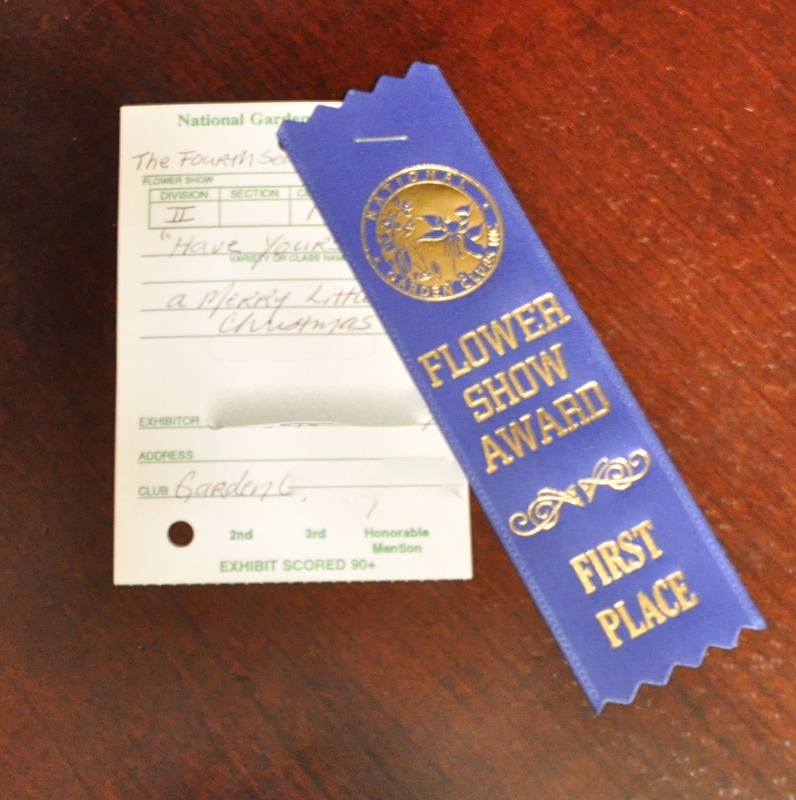 I didn't think I had wrestled my plant material into blue ribbon form so today's ribbon was a wonderful surprise! 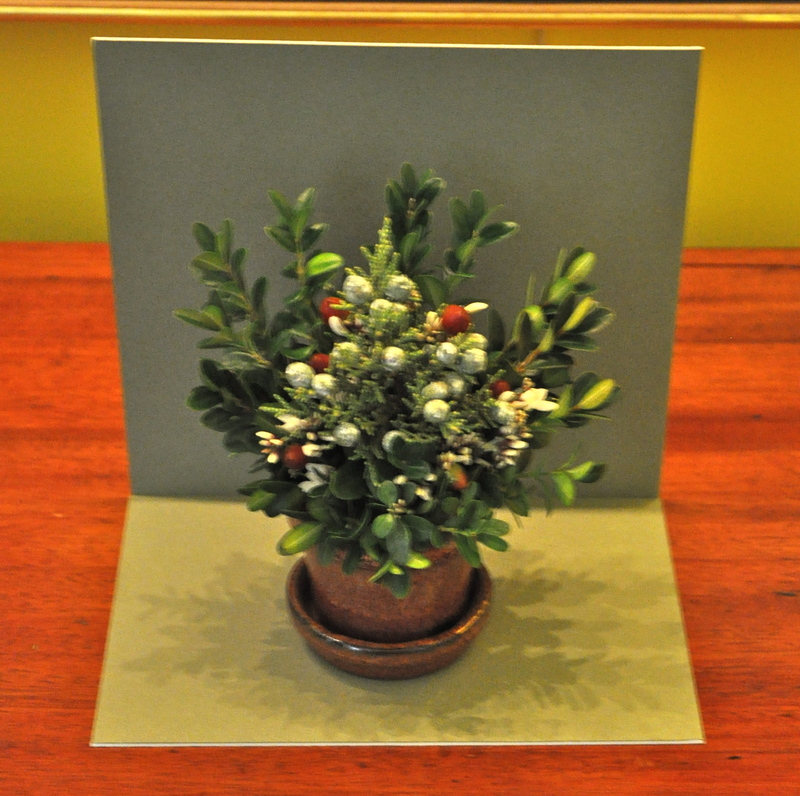 I submitted my “small” floral design this morning at 8 a.m.; small-standard flower show judging began at 9 a.m.; and results were publicly available at 1 p.m., when the garden club’s Annual Holiday Tea and Flower Show began. When I dropped my design off I saw one other “small” designer, my friend Kathleen, but not her design as it was neatly tucked away to protect it from the cold. Neither Cynthia nor Nina, two other friends and fellow competitors, had arrived yet. The four of us were competing in the “small” category. Typically, Kathleen and I compete against each other as we are on the same “level,” while Cynthia and Nina are one level of experience and expertise higher. All three designer friends are very talented and all four of us bring a different design esthetic to the table. I was really looking forward to seeing how each woman interpreted the theme in her design! 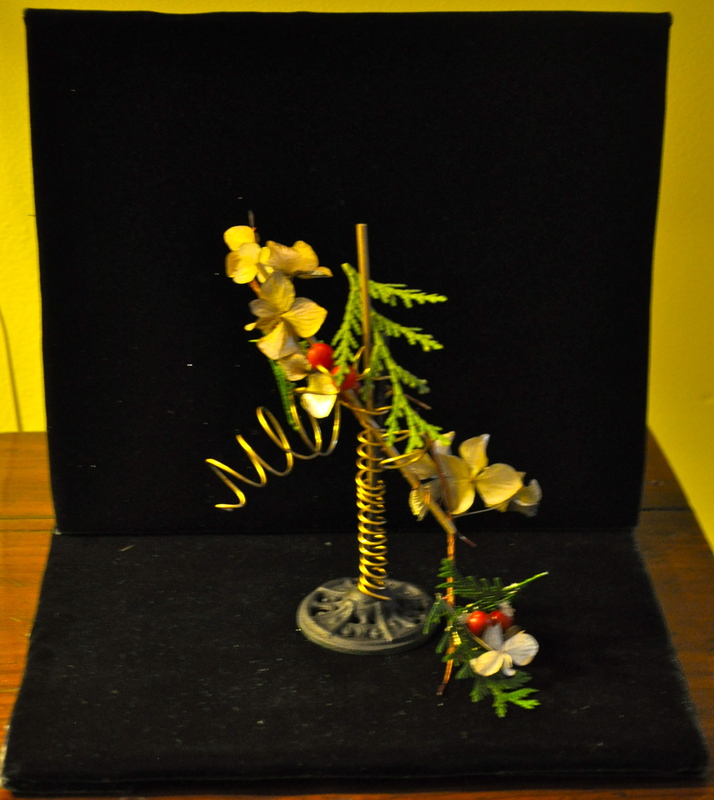 My design, which I showed you yesterday. A gorgeous "creative" design; I aspire to start doing creative designs; it's a big leap (for me) from the "traditional" style designs I do. Kathleen's wreath! I'm in love with it! 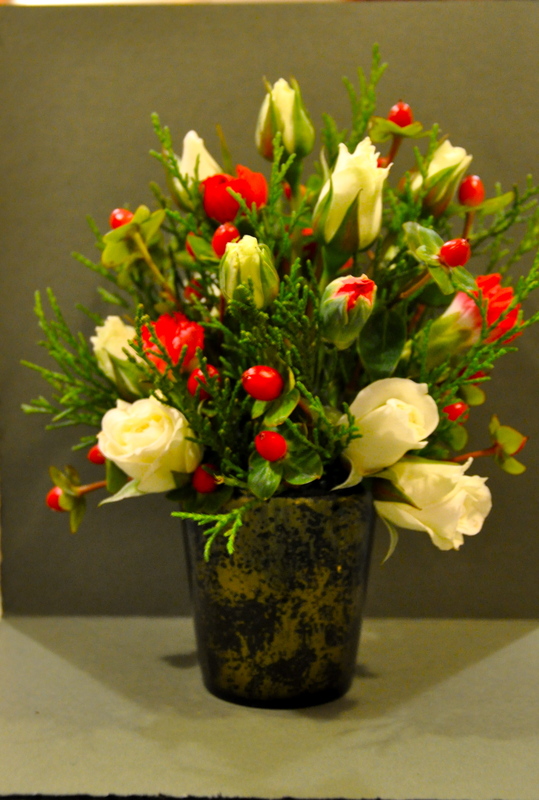 Nina's design is so evocative of the season. Boxwood rocks!